Did you know almost 85% of your potential customers pass by your store each month? Unless you have a well-placed, attractive sign on your storefront to attract the attention, you will lose the opportunity of converting your business location into cash. 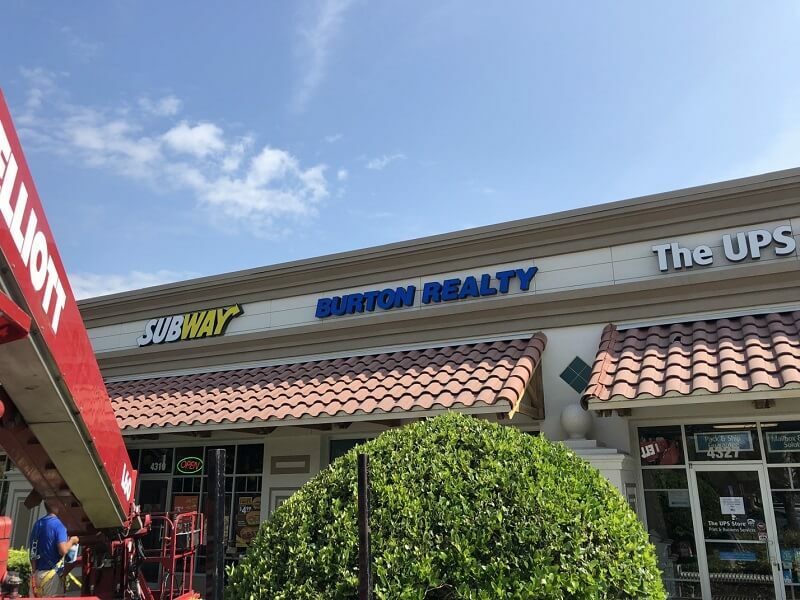 Well crafted outdoor signs for businesses are the best way to tap into this otherwise lost potential of passersby and make your business location work for you. Custom exterior signage designed to fit your specifications and needs, and crafted for durability will continue promoting your business for years to come. 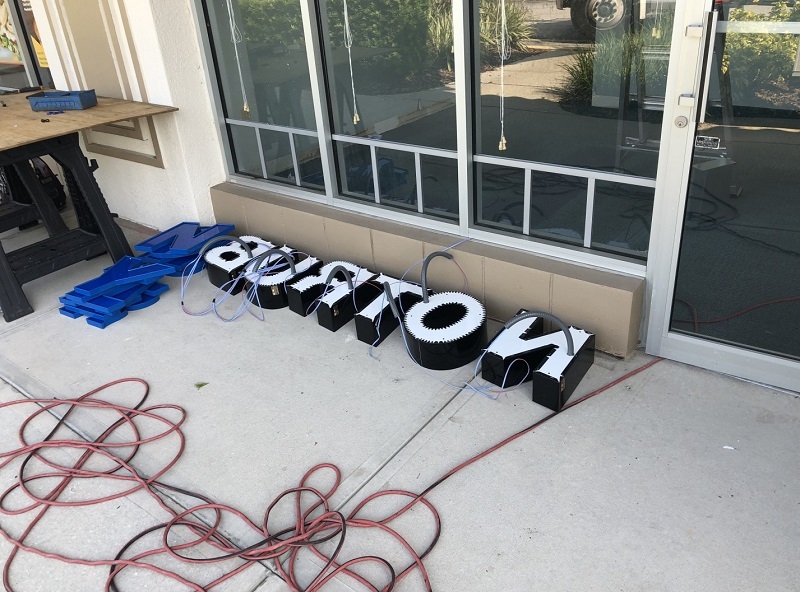 In the course of their business expansion, Burton Construction needed a new office with a vibrant, eye-catching outdoor sign to serve their business goals. They hired Citrus Sign Studio to help them accomplish the task. 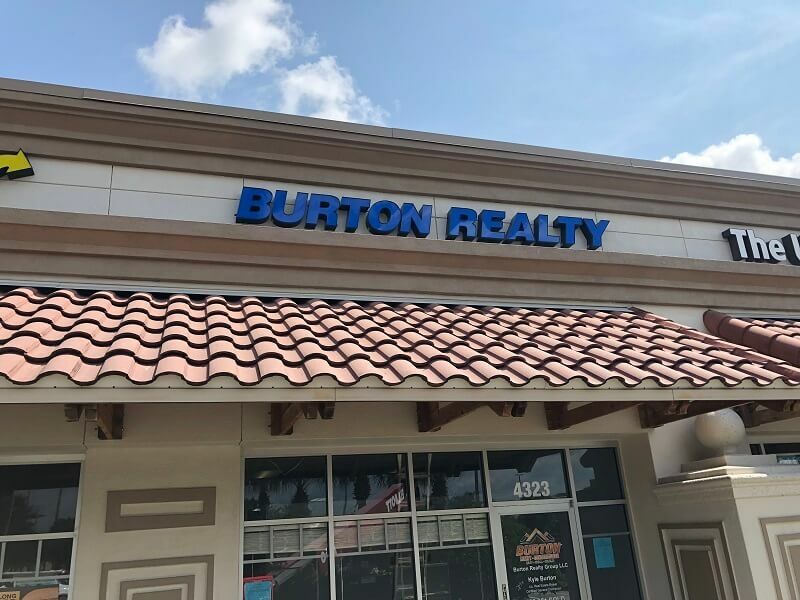 Being a Certified General Contractor with 50+ years of combined experience, the Burton Team has constructed 75+ custom homes, commercial tenant build outs/improvements, complete home renovations, and several light commercial projects. During the course of their business expansion (from construction to realty services), the company needed a new office to meet its growing business requirements and a vibrant new exterior signage that would fit its changing corporate image. 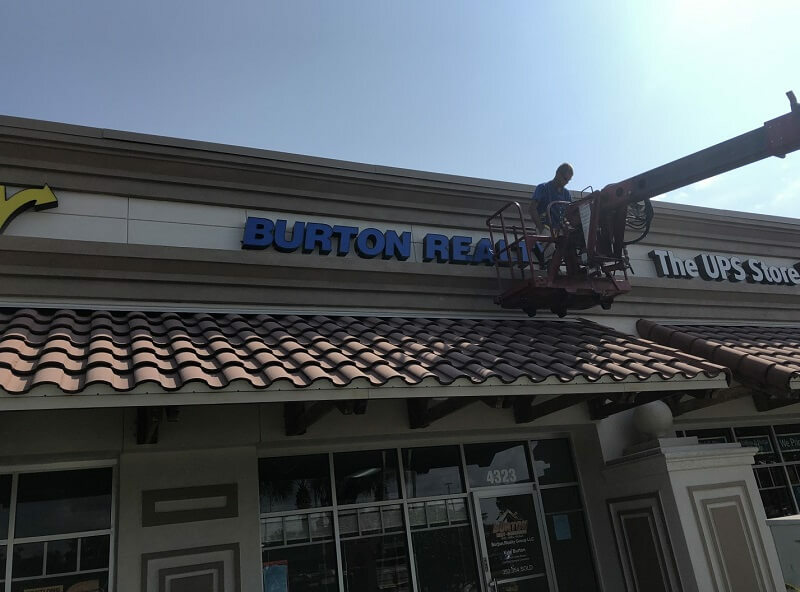 While designing the vibrant new business sign for Burton Construction, Citrus Sign Studio had to ensure that it matched the client’s expanding business. At the same time, adherence to the strict landlord requirements of the City of Clermont and getting the required permits was equally crucial. Our team kept all these parameters in mind to create a turnkey solution for the exterior signage design. Since we have our own in-house, full time seasoned and extremely capable design team, we ensured the process from concept to design was done quickly and seamlessly, right to the client’s specifications and requirements. The final design had big, bold lettersets in blue that are eye-catching and even go well with the building’s muted color. 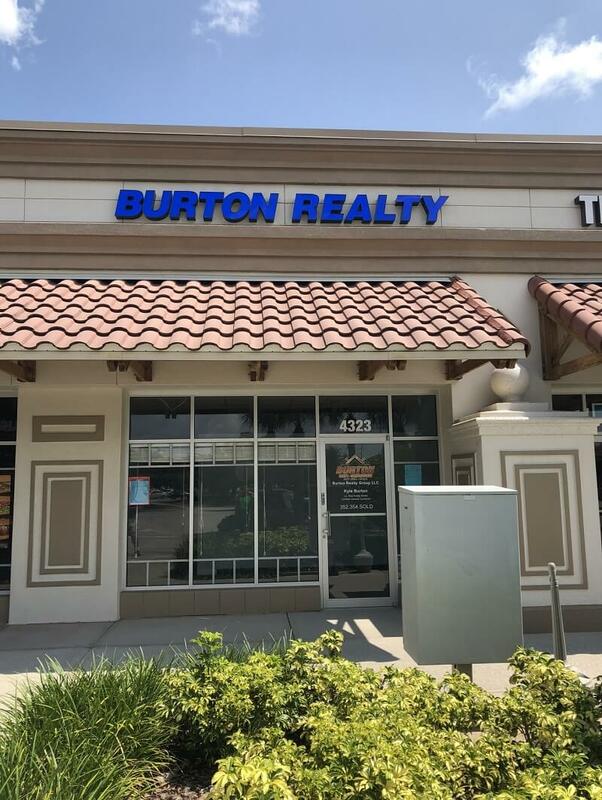 It was exactly what Burton’s expanding business and its new office needed. 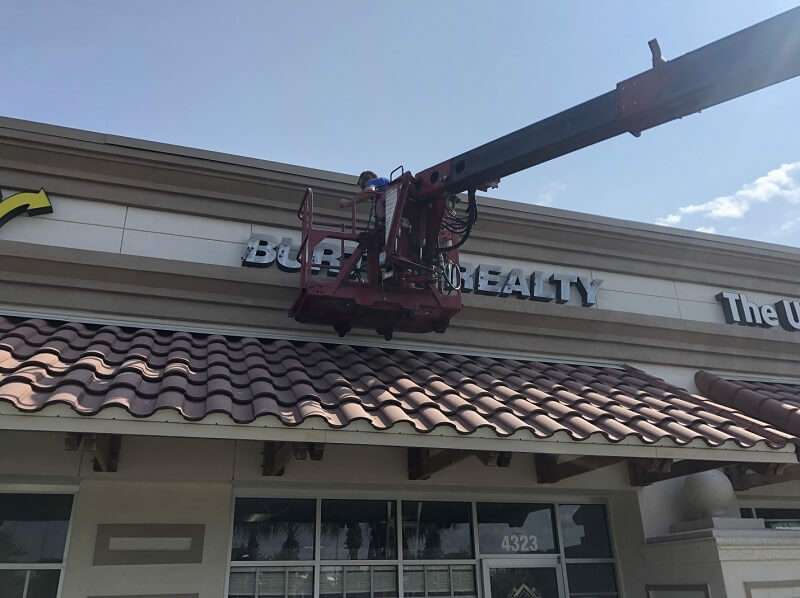 We obtained the City of Clermont permitting for business signs on behalf of our client and fabricated the exterior signage. As our turnkey solution was ready to be installed, our adept project managers and installers took charge. Since we own, run and maintain a full fleet of specialized equipment and vehicles, which includes panel vans, box trucks, pick-up trucks, 115′ cranes, manlifts, swinging stage platforms, and anything else that a project might require, handling the task was easy. Our experienced installers completed the installation job with utmost precision and pace coupled with high quality of workmanship that’s required in the modern competitive business landscape.